In September of 1945, Bishop Alexander McGavick established Immaculate Conception Parish to serve the east side of Eau Claire. Father Daniel J. O’Reilly was named the first pastor of the new parish. For two years, Sunday Mass was celebrated in the auditorium of the Elks Club in downtown Eau Claire. In 1947, the parish obtained it’s first church--Military Chapel from Truax Air Force Base in Madison. This chapel served as the worship space for Immaculate Conception Parish until the present church was completed in 1959. The convent was also erected at this time. Final plans for the 10-room school and rectory were completed in 1949. The school opened in 1950, staffed by the Franciscan Sisters of Perpetual Adoration from LaCrosse who served Immaculate Conception School as teachers and administrators until 2005. More than twenty priests served as associate pastors at Immaculate Conception. In 1983, Fr. Eugene Klink was appointed the second pastor of the parish. 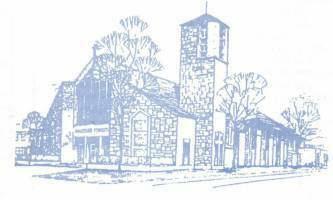 Immaculate Conception Parish now numbers 1,300 households and is committed to living out its mission statement through worship, stewardship, education and formation, service and hospitality.